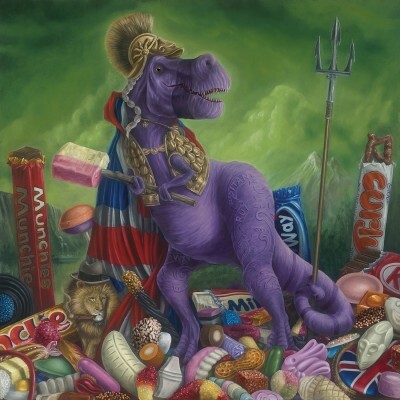 The British Empire's Tenpenny Britannisaurus Rex, signed Peter Smith hand-varnished giclée on canvas. 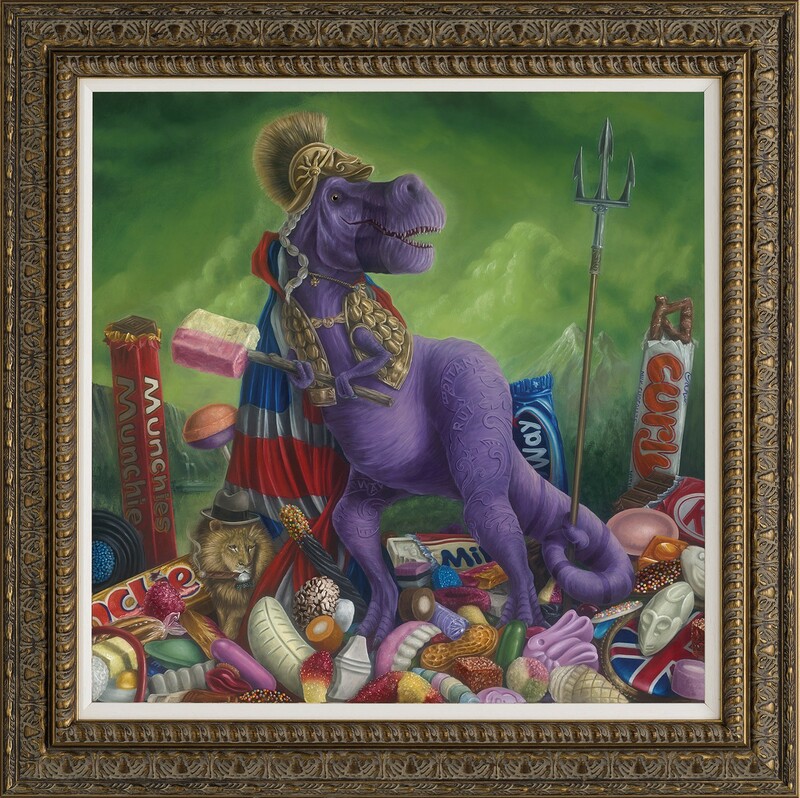 Featuring adult jokes, Victorian imagery and reinvented literature, Eccentricus Britannicus by Impossimal duo Peter and Jayne Smith may just be their most raucous release yet. 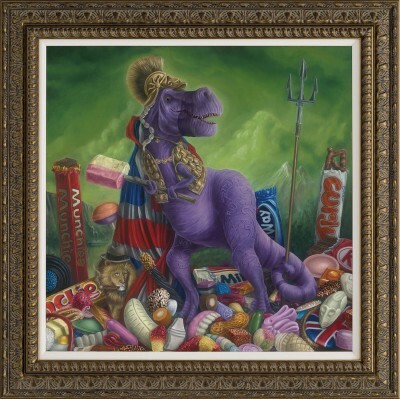 A clumsy-fingered sweet seller accidentally creates Liquorice Allsorts, in the process creating a period of history known as the ‘Sugar Rush’. The British Empire’s Tenpenny Britannisaurus Rex makes its first appearance in 1901, and the message is clear: ‘You can do what you like to Britain, but f**k around with our sweets and you’ve got trouble’.